Tickets for all public festival shows and events are available from this website. You can click on the “book tickets” link next to each show listing to add tickets to your basket. In order to buy tickets from our website, you will need to create an account. Creating an account is easy and will only take a couple of minutes. 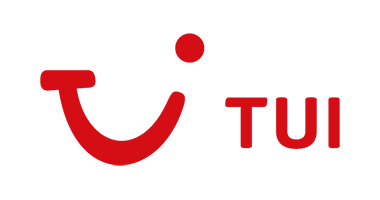 When you buy tickets via the site you will also be able to make a donation to Big Difference Company; the registered charity which produces the festival. All donations enable us to continue delivering amazing projects such as the UK Kids’ Comedy Festival and Loving Laughing as well as projects aimed at promoting wellbeing, education and the arts. If you would prefer to buy tickets by phone, or have any queries about ticketing, please call our friendly ticketing team on 0116 456 6812. The office is staffed Monday – Friday, 10am – 6pm. During the main festival dates, the phone line will also be staffed Saturdays (10am – 6pm) and Sundays (midday – 4pm). We pass 100% of ticket income on to our venues, acts and promoters. There is an 80p booking fee charged on all tickets to help pay for the box office. There is a maximum charge of £4.80 per transaction. 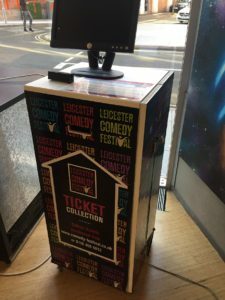 When you book tickets through our festival box office they can either be posted to you (standard posting £1/transaction) or you can collect them from the automatic collection points set up around Leicester city centre during the festival. You will need the card you booked tickets with to collect tickets from the machines. These are the details and arrangements for buying tickets via the main festival box office. If you buy tickets from elsewhere, booking fees and arrangements may differ so please check with who you are buying tickets from.